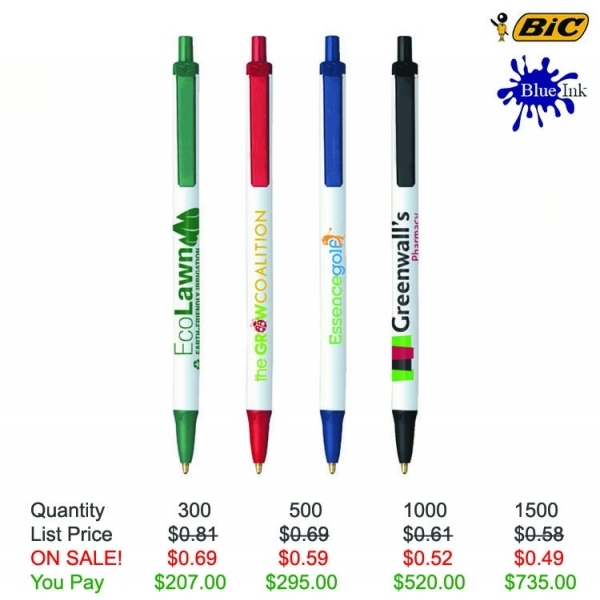 You don't get much better than the BIC (R) Ecolutions (R) Clic Stic (R) ballpoint for environmentally friendly pens! 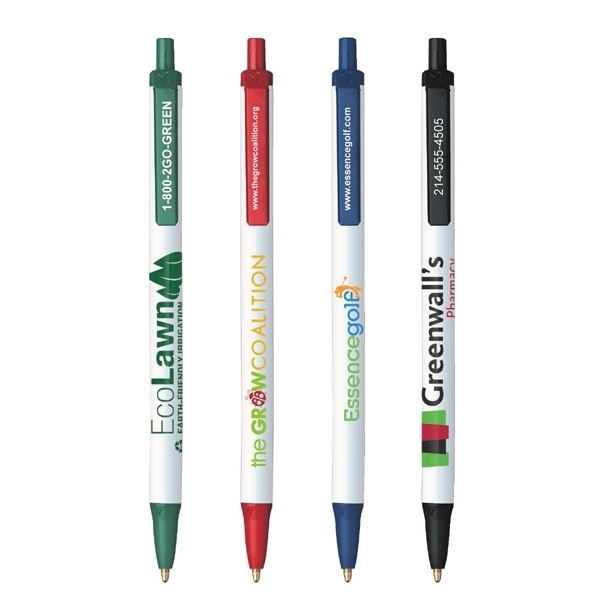 Featuring a white barrel, the pen is made with 66% pre-consumer recycled material. Plastic is acquired from manufacturing plants for reuse, then flaked, mixed and melted to pre-consumer recycled plastic pellets. 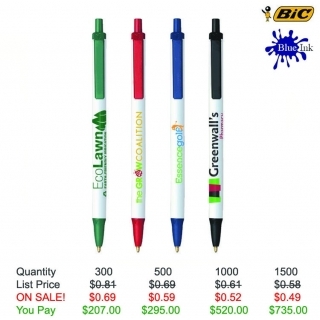 Assembled in the USA, it's the most popular retractable pen in promotional products. Schools and businesses are an ideal fit! Item Color: Black, Forest Green, Navy, Red - All include a white barrel. Imprint Location: Available on Barrel and Clip. 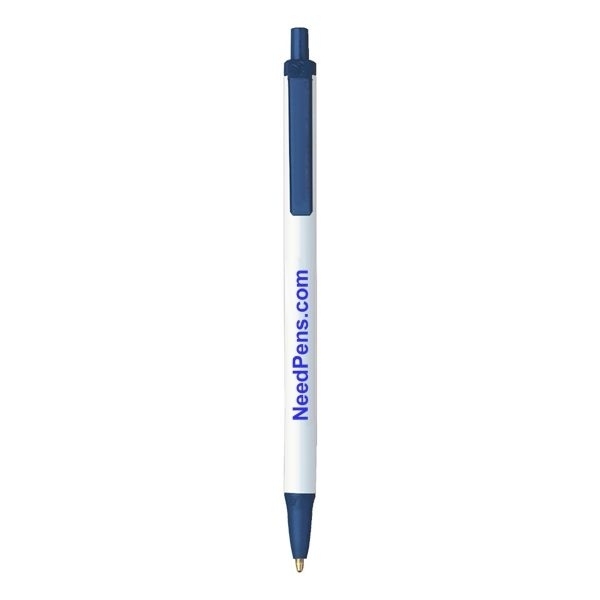 Imprint Size: Barrel - 2 1/2" W x 3/4" H Clip - 1 1/8" W x 5/32"
These pens write well and don't fall apart. A little nicer than the standard white barreled pens. My company information turned out great. Very happy with them.